Paddington Bear Push Along Discounts Apply ! From our brand new Paddington Bear™ Collection, encourage those first steps with the perfect walking companion! 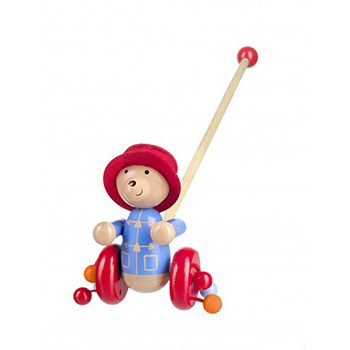 Join Paddington Bear on his many adventures, with this beautiful hand painted wooden push along. They’ll love the wooden beads clacking at the sides, as they toddle about! . This toy is for Age group 12 Months + .